A little while ago, I joined in with a challenge set by Money Supermarket to makeover a room in our house; I chose our poor, unloved kitchen, simply because it was the only room in the house that we’d never really bothered with. We sanded off and plastered over the artex walls that were so horrifying that they induced nightmares, and added a few plants and my beloved pyrex; it was easier to live with but still a long way off being the kitchen I dreamed of. As renters, there are obviously some limitations on what we can and can’t do. We’ve got permission to replace the worktops and tiles, but I tend to go back and forth with my thinking on this – we’re going to be here for another five years at the most, and I swing between thinking that I can’t tolerate mottled green worktops for another five years and that there’s no point replacing it when we’ll be leaving soon. The whole kitchen is teeny tiny; you can only just fit two people in there comfortably, and the units were a bodge job fitted by previous tenants. What’s even more tricky is that the front door opens straight into the kitchen, which means that we don’t have a proper hallway – just a corner with a coat rack. 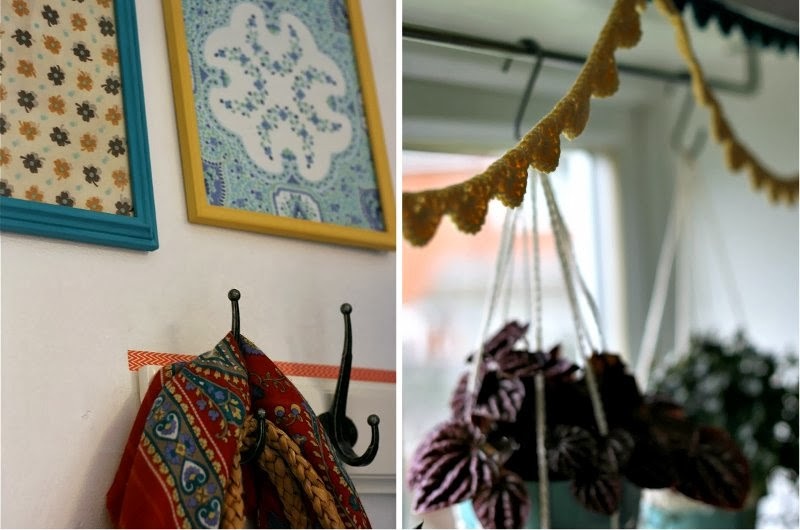 Over the last couple of weeks, I’ve been adding some little bits and pieces to make the whole space a little brighter and more colourful; crochet garlands at the window, vintage handkerchiefs in painted charity-shop-found frames and plenty of washi tape everywhere. It’s still pretty far removed from being my dream kitchen – a range oven, butler sink and eco-friendly dishwasher that manages to save tonnes of water, all jostling for space with vintage tins, retro pyrex and tonnes of enamelware – but it’s gradually improving. The problem with it being such a small space is that if there’s too much going on, it’ll end up becoming claustraphobic, so I think the key is to use a few key colours, and not cover every available surface with pictures or garlands – as I come from the ‘more is more’ school of thought, this is going to be a challenge at the very least…. This post was written in collaboration with Electrolux. 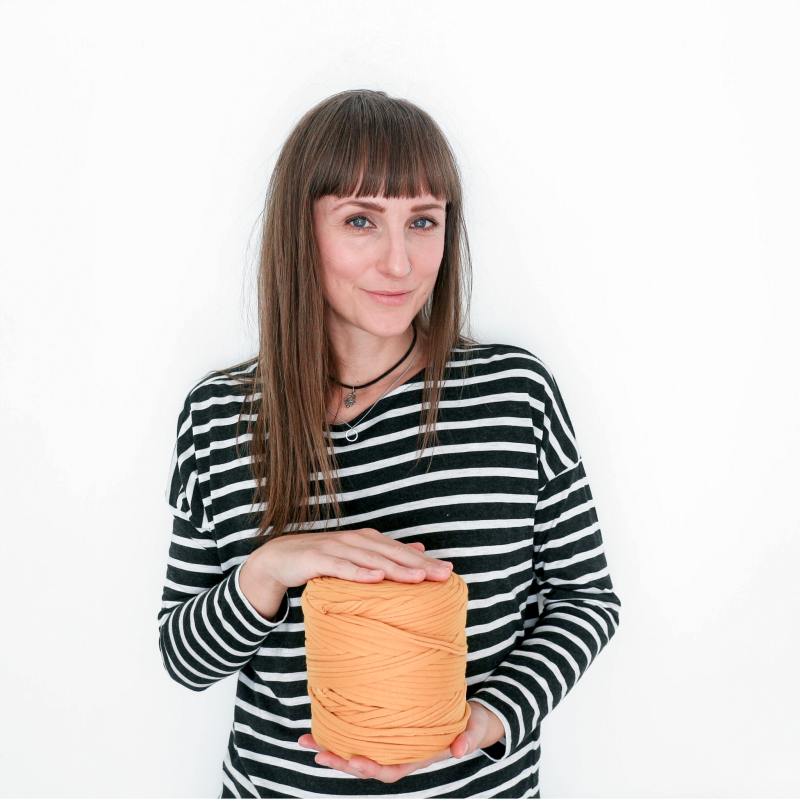 I've just discovered your blog and started following you on instagram – I am so glad I am not the only one with a love of 'stuff'! After discovering pinterest last year I thought i was the only person who wasn't hankering after a perfect scandi style home – I can't do minimalism. 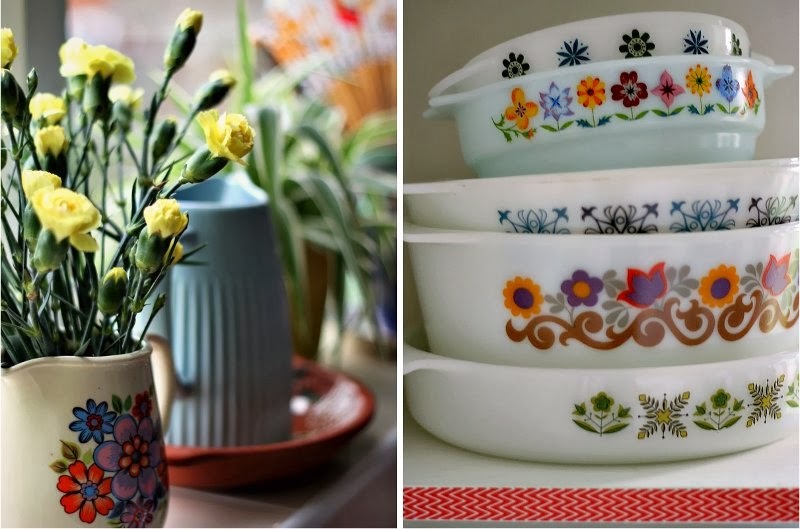 I love the crochet garland and your pyrex collection is gorgeous! Also I have that jug (the one with the carnations in) courtesy of our local car boot! It's beautiful. I think i'd shy away from doing anything big in a kitchen I didn't own – and yu have personalised it and brightened it beautifully!